Working on home improvement projects can do a lot for your home, such as improve its curb appeal and function. The ideal projects, however, are those that can help recoup your initial investments. In this article, Peak Roofing Contractors Inc. recommends some home improvement projects that can do just that. You can rely on a handyman in Manassas, VA, such as us, to help you save on your energy costs. We offer vinyl windows that can help increase the comfort levels in your home by reducing the heat that goes in and out of it. This will keep you from relying too much on your HVAC units, leading to more energy savings. They also come with insulated glass that can lessen heat buildup in your home. Our years of experience will also help us make sure that the windows we install are airtight. With these features, you can be sure that investing in our windows is a good move. We can help remodel your kitchen to add beauty and function to the area. We can provide you with ideas and educate you on the options that will help you realize your ideal kitchen. We can help you plan and give you an estimate on your renovation. You can also depend on us to help you find and choose appliances and items that can help you save energy. 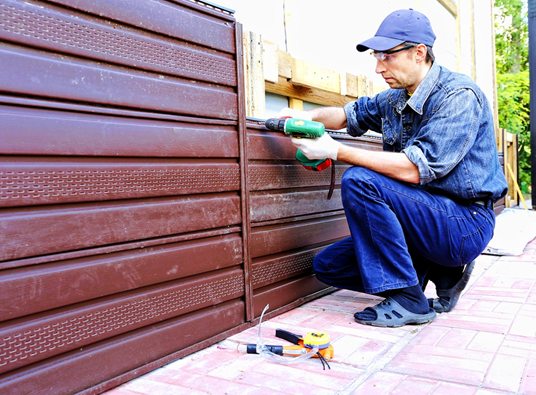 As one of your trusted siding contractors in Manassas, VA, we offer siding that can protect your home despite harsh climate conditions. We offer vinyl siding that can resist strong winds and moisture. This will prevent water from entering your home and causing mold growth. This can also lessen heat that enters your home, making it more livable. In addition, you only need mild soap and water to clean vinyl siding. These features make it a low-maintenance option, keeping you from spending too much just to keep it beautiful. Count on Peak Roofing Contractors Inc. to help you work on cost-effective home improvement projects. Call us today at (703) 745-5153 and get a free estimate on your next home improvement project.